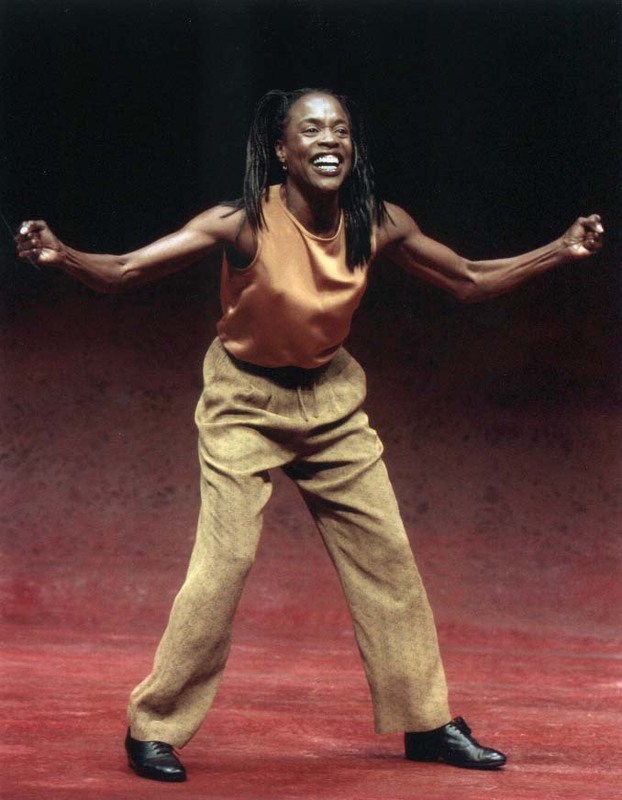 Charlayne Woodard can do no wrong. Though her latest one- woman autobiographical monologue, IN REAL LIFE, deals with familiar material--the struggles of a young wanna-be to make her mark in showbiz--Woodard is such a captivating performer that she can transform dross into gold. This African-American gamin exudes life-force and vibrancy, backing everything up with an emotional honesty and expressiveness that connect instantly and deeply. It doesn't hurt, either, that she has a billion-dollar smile, can sing like a lark, dance up a storm--and write like a sage. Her account of what it was like to arrive in New York in the 80s, a girl fresh out of drama school armed with a violin and five audition monologues, is an eye-opener. 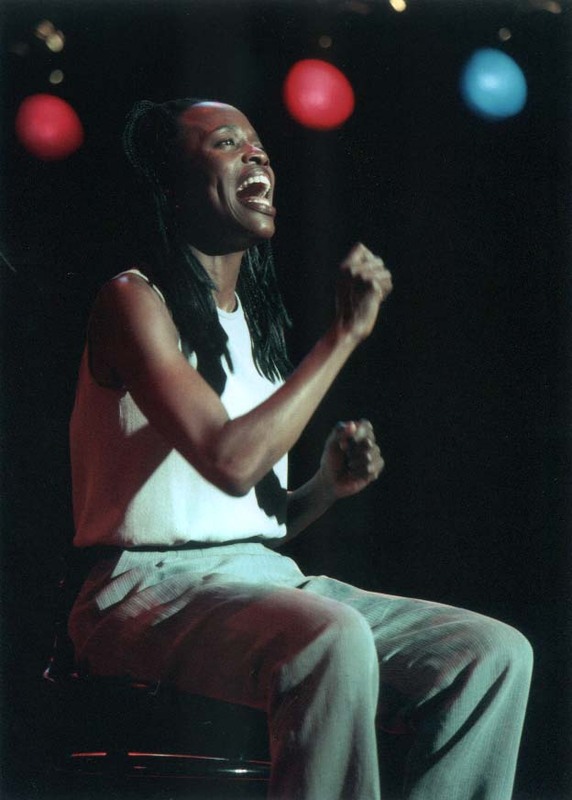 Despite her musical talents, Woodard did not want to suffer the ultimate fate of so many black actors, which was to become an entertainer, settling for song and dance instead of Shakespeare and Chekhov. She was determined not to be deferred from her dream, only to run up against the realities of white-run showbiz. If she wanted to work on Broadway, she would have to tap-dance first, something she could do only by psyching herself up and pretending to play the part of a would-be showgirl. This way, it wasn't Charlayne who was selling out, it was her alter-ego. When the show, Ain't Misbehavin', became a Broadway success, Woodard, who landed her role by singing an a capella version of "Auld Lang Syne," became even more troubled and conflicted. Although she liked the fame (and money), she knew she was doing damage to her ideals and psyche. The toll this took on her are well-dramatized in In Real Life, which is also notable for its sharply drawn backstage portraits of her fellow performers. Woodard is equally funny--and touching--when she impersonates some of the other important people in her life: her agent, lover, a couple of girlfriends (including a famous cabaret star), and a self-destructive Rastafarian guru. Woodard's show is beautifully directed by Daniel Sullivan, who keeps the narrative flow going with a sensitive and unobtrusive hand. Kathy A. Perkins' lighting design is magical as well, ditto Daryl Waters original music. (At the Mark Taper Forum, 135 N. Grand Ave., LA., CA through Sept. 16; call (213) 628-2772 or visit www.TaperAhmanson.com. In the fall, the show will move to the Seattle Repertory Theatre, which co-commissioned and helped develop In Real Life).